Queensferry Crossing Experience public walk in Scotland. South Queensferry, Scotland, United Kingdom. 2nd of September 2017. 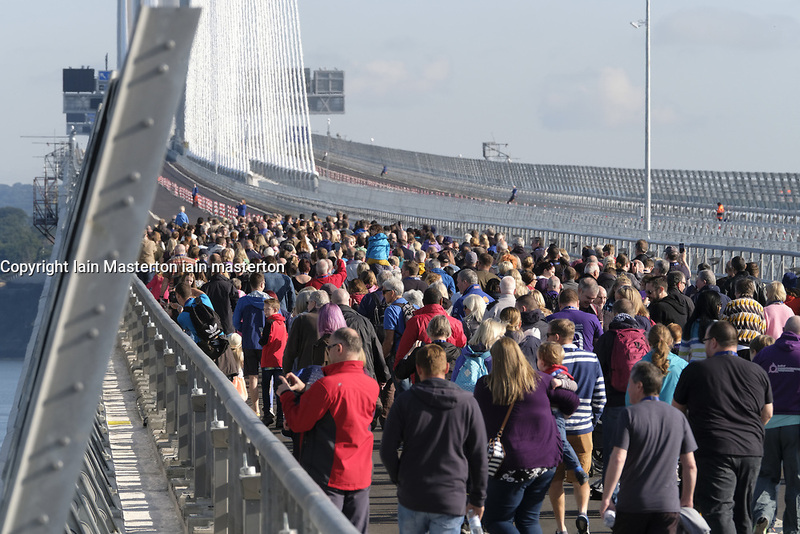 As part of the Queensferry Crossing Experience, 50,000 people, who were successful in a public online ballot, are able to celebrate the opening of the bridge by walking over it while it is temporarily closed to traffic. First Minister of Scotland, Nicola Sturgeon, meets Bridge Ambassadors .